The School College Work Initiative is co-funded by the Ministry of Education and the Ministry of Training, Colleges & Universities and co-managed under the leadership of the Council of Ontario Directors of Education (CODE). Through the School College Work Initiative, school boards and colleges partner to offer Dual Credit Programs that allow senior high school students to simultaneously earn high school and college credits towards their Ontario Secondary School Diploma and a college diploma or Level 1 Apprenticeship Training. Our Halton school boards are currently partnering with Sheridan College. For information on Dual Credit programs, please contact the offering school. ONE High School Credit and ONE COLLEGE credit. Transportation to campus is PAID for. Great experience about a possible career! COURSES OFFERED (SEMESTER 2 ) – See us in Student Services to Apply! SEE YOUR COUNSELLOR FOR AN APPLICATION! A Specialist High Skills Major (SHSM) is a ministry approved specialized program that allows students to focus their learning on a specific economic sector, while meeting the requirements for the Ontario Secondary School Diploma (OSSD). 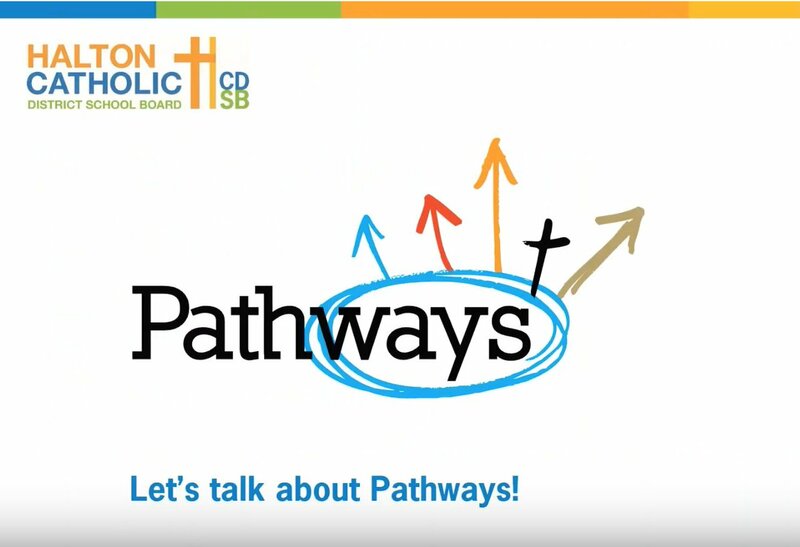 For information on all programs available in the Halton region, visit the Halton Pathways Website and contact your Guidance Counsellor in Student Services. OYAP is a School to Work program that opens the door for students to explore and work in apprenticeship occupations starting in Grade 11 or Grade 12 through the Cooperative Education program. Coop is a part of each of these programs and while in coop, these students can also be registered as an OYAP apprentice by contacting the OYAP board representative. Independent Learning Courses, and e-Learning. With its partners in Citizenship and Immigration Canada (CIC) at the federal level and the provincial Ministry of Citizenship and Immigration (MCI), the Halton Catholic District School Board provides adult language training and settlement services to newcomers and those Canadians requiring English or French language enhancement.